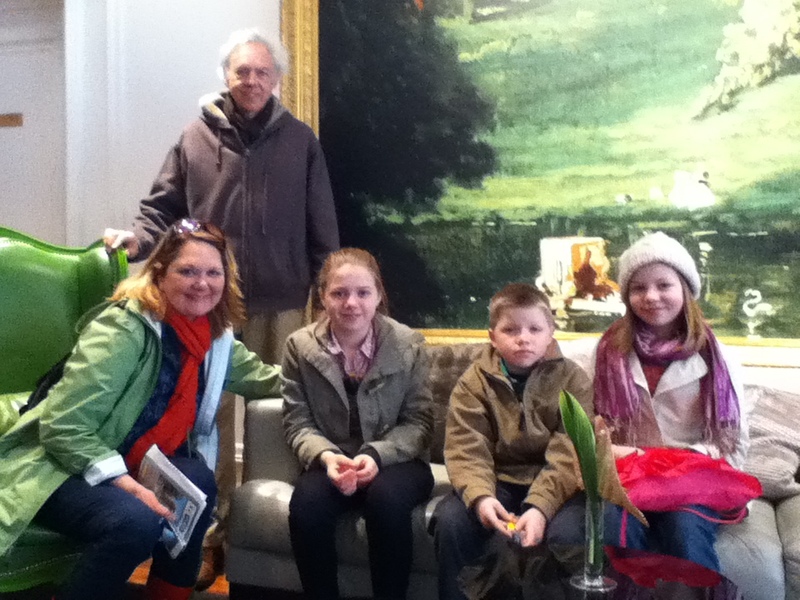 DAY THREE – Grands Visit Paris!! in Trocodero area by Eiffel Tower! 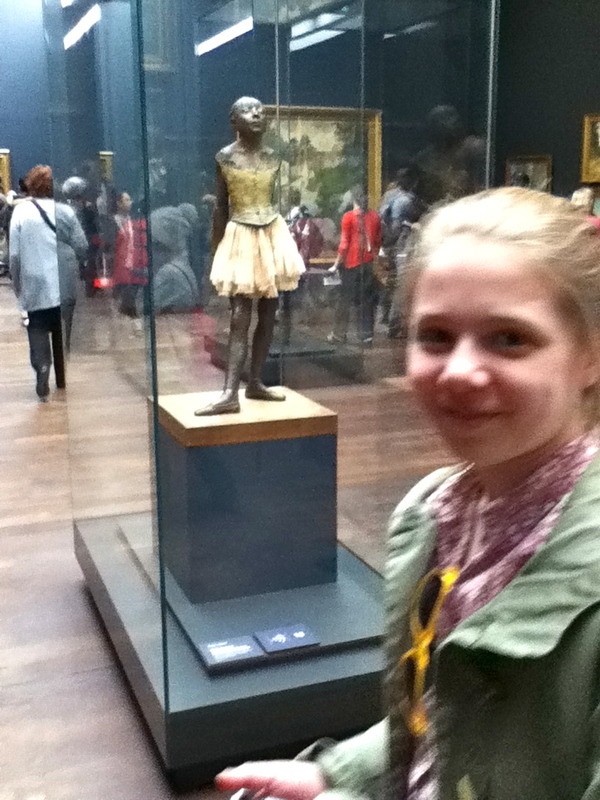 Musee D’Orsay in a.m. – LOVELY day!!! 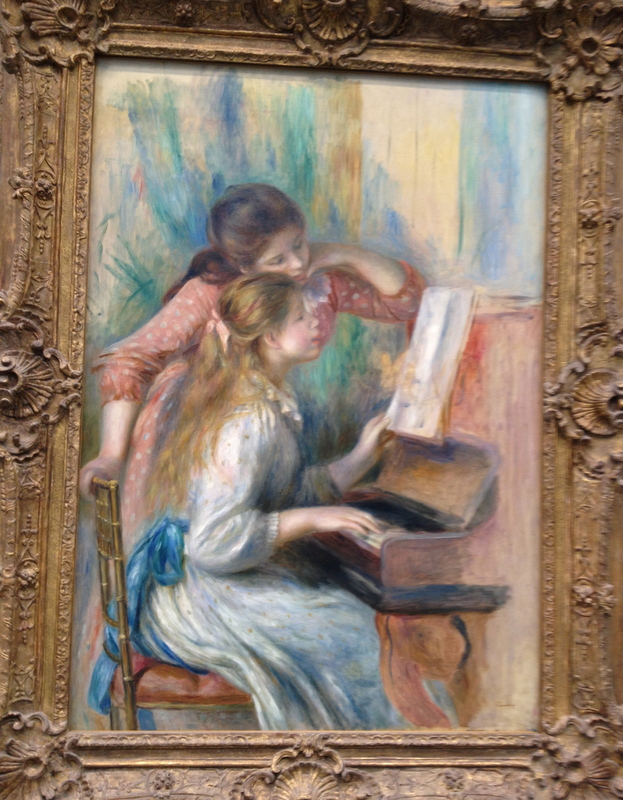 The impressionist works and Degas were the favorites!! Bus to Latin Quarter after – – Walked to Luxembourg Jardin – ate in Garden – – walked towards Catacombs, and past OBSERVATOIRE, past Closerie des Lillas Cafe (in Hemingway’s writings). Arriving at the Catacombs it had just closed as they stop giving tickets at 4P!! -Did see the “model” of the Catacombs and it’s pretty impressive in that if you can make it down the winding stairs to what seems like the center of the earth, not only do you get many skulls/skeletons greeting you, but this is actually BELOW the metro! Got some shoe inserts for G’s shoes (it was a marathon walk there, ouch!) – and had I known the BUSES like I do the METRO, we might have been able to take a bus! 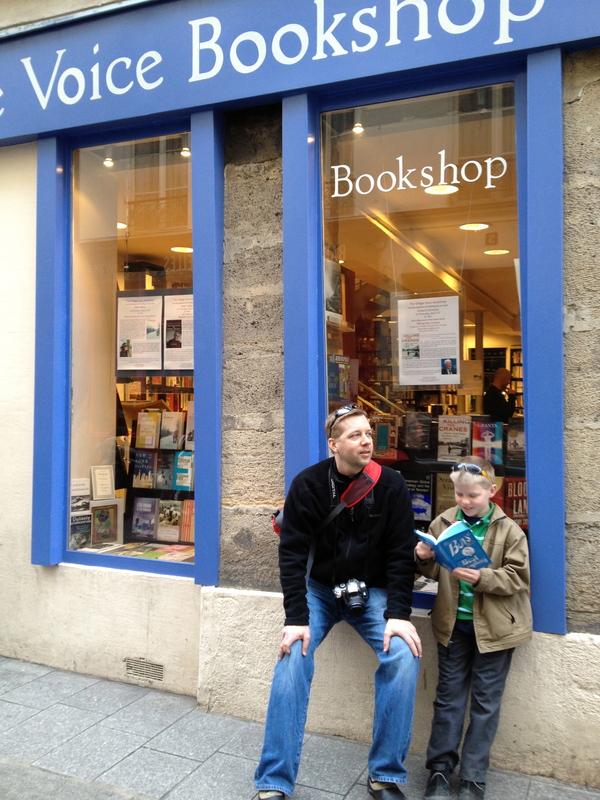 Went to famous “Village Voice” English Bookstore in the heart of the Latin quarter J got a book. 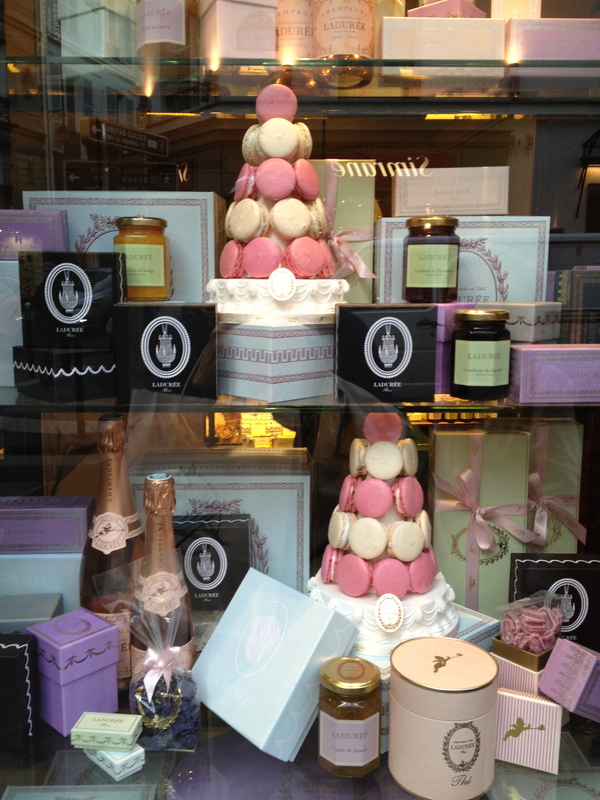 Continued on to LADURIE where we got fresh beautiful succulent macaroons to have later after Eiffel Tower. Tuesday night – Eiffel Tower special EVENING tour – which I & B got 3 months in advance. There were no lines for us. Of all my visits here from the last 40 years – this was a first (for the Eiffel Tower – ever!) It was awesome!!! 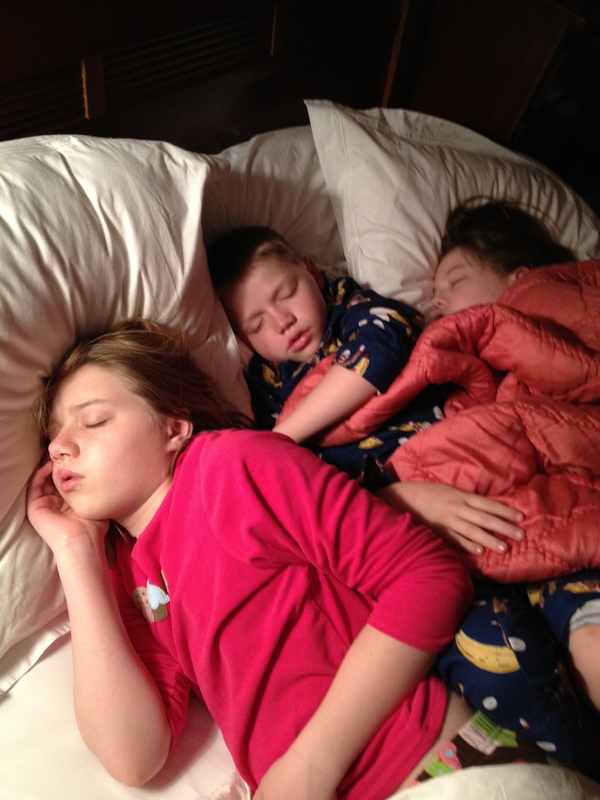 The “twinkling” came on while they were up there. WOW! J did his “Mr Bean dance” while it was flashing. Too funny!!! This is the way to see the Eiffel Tower!! After the Eiffel, walked past through TROCADERO to get particular fantastic view , then to Le Wilson Cafe on the square where we all ate a great dinner – and had some good drinks. Had the Ladurie Macaroons for dessert!!! I owe B a CASSIS!!! and we took kids back to apartment. 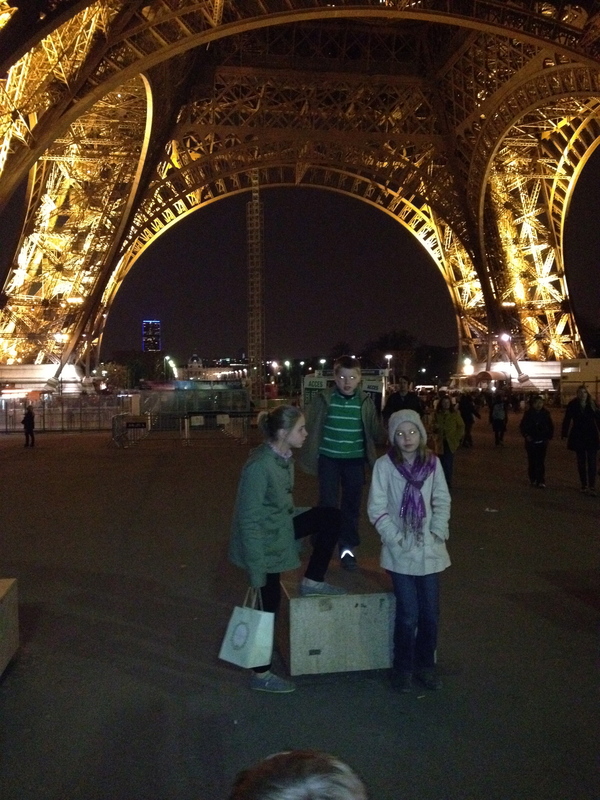 visions of Eiffel and Paintings all in their heads ……………..
Great job…..can’t believe this was done all in the 3rd day!